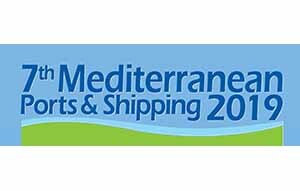 The 7th Mediterranean Ports & Shipping 2019 Exhibition and Conference will take place at the Hyatt Regency Casablanca from 25 to 27 June 2019. This event provides a networking opportunity between foreign and local trade, investment in the Mediterranean region’s maritime transport infrastructure, promoting trade in ports, shipping and transport logistics. A two days Conference Programme will feature 30 world-class conference speakers addressing topical issues and challenges for the Mediterranean region’s transportation and logistics infrastructure attended by a gathering of 300 senior government officials, industry principals, academics, harbour masters, port engineers, cargo owners, importers / exporters, shipping lines, freight forwarders, logistics companies, ports, terminal operating companies, services suppliers from countries throughout the Mediterranean region. There will be the commercial opportunity for exhibitors and sponsors to network face to face with delegates at this major annual international maritime transport Exhibition and Conference trade event for the Mediterranean region.